Why games publishers are seeing increased demand for official merchandise, how can you get involved and what's next for the sector. Video games have come a tremendously long way in the space of a few decades. And we’re not talking about graphics and hardware improvements. From bedroom-based programmers to arcades, Game Boys to home consoles, the sector has grown at a frightening pace. Today the sector is a multi-billion pound industry, where iPhone apps are downloaded in the billions and franchises like FIFA and Call of Duty make millions of pounds every year. Video games have hit the mainstream. Player demographics range from children to the elderly, boys and girls, mums, dads, teens and everyone in-between. 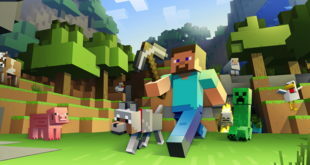 Many of those who would not usually play high-end console games but are now instead enjoying titles such as Angry Birds on their phones and FarmVille on Facebook. Gamers – serious or casual – are some of the most fiercely passionate consumers around, and today they expect so much more than just a disc in a box offering ten hours of gameplay. They want to play games on the go, enjoy multiplayer experiences with their friends and family, compete with rivals online, upload their best achievements and more. Many want to explore a game brand beyond the disc. Dimitri van Eetvelde, managing director at Level Up Wear (LVLP), which produces video game T-shirts, tells Licensing.biz: “With the increasingly sophisticated offering of games, as well as the casual ‘revolution,’ gaming is rapidly becoming a universally appealing entertainment medium. This means that contrary to popular belief, gamers are not just high school boys who hide in their rooms to play games all the time. Big gaming brands have also found their way into the posters, accessories and stationery categories. GB Eye has a number of licences including huge upcoming games Battlefield 4, Call of Duty: Ghosts, Dragon Age 3, Skylanders: Swap Force, Watch Dogs and more. Luiz Ferreira from Gaming Merchandise UK Limited, which distributes a host of licensed gaming gear from T-shirts to mugs, toys and key rings, (including the Minecraft pick axe toy, pictured) says: “Two years ago the market for Gaming Toys & Merchandise was estimated at around £60m and last year we saw an increase to £77m based on NPD Group figures. The increase of 28 per cent illustrates that retail are looking to other categories to drive revenue and margin. Sega, meanwhile, has recognised licensed merchandise is a growing revenue stream within the company. It has invested in an in-house infrastructure to allow for an expanding licensing programme, with over 60 licensees across EMEA including Sonic the Hedgehog master toy partner Jazwares, Spearmark for lunchware, Character World for bedding, Meccano for construction toys (see below) and Smith & Bricks for kids’ apparel. 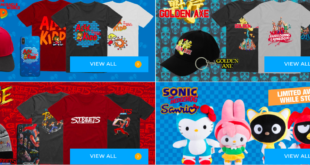 Sega has also recognised a demand for Sonic apparel for both kids (who want to associate with brands and characters) and adults (for nostalgia). Sony, too, has seen its licensing operations ramp up in recent years, buoyed by strong selling LittleBigPlanet merchandise. Sony now works with licensees within apparel, toys, stickers, figurines and trading cards categories, among others. “There is a definite acceptance amongst retailers that gaming is now a bone fide form of entertainment and we can compete on a more level playing field with the movie studios,” says Sony Computer Entertainment Europe’s (SCEE) European Licensing Manager David Evans. “The knowledge that our licensees can now go to retailers and have a genuine chance of getting licensed video games products listed has presented a huge commercial opportunity for our business. Invizimals (pictured above) in particular is a big deal for Sony, with its hero consumer products programme for boys aged six to 12. In Spain, a standout market for the brand, Panini sells sticker packs. And the recent launch of a new series of Augmented Reality trading cards, along with a free app, has merged traditional product with gaming expertise, and Sony says it’s proving to be a huge hit. “With two new Invizimals titles due to launch later this year along with a new Invizimals TV series and a master toy partner that will be announced shortly, the franchise is has all the potential to be Europe’s next big boys brand,” adds Evans. Dan Long from Insert Coin – which offers gaming apparel – says the world is changing its attitude towards gaming. And so licensees must also up their game. IP licensing specialists AT New Media believes there’s room for improvement in the sector, particularly at a retailer level. 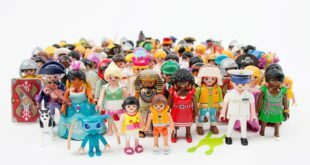 The company recently began working with Steve Reece’s Virtual World Licensing, to develop licensing programmes in the digital games and toy markets. And it’s not simply a case of branding goods with game characters. James Dance from video games inspired bar Loading makes licensed game-related drinks and cocktails based on properties like Street Fighter and BioShock. 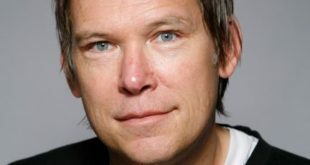 He advises: “Games are as popular as they have ever been and it’s interesting seeing all the other companies securing licences, however if you are looking to take a licence and use it to sell your product to fans, you need to be sure you have some record in that market, as the games industry is cynical towards anything seen to be ‘cashing in’. Brand owners and video game publishers are also selling more and more consumer products directly to consumers. Ubisoft, for example, has its own Ubi Workshop arm. MD of Ubi Workshop, Xavier Szwengler, contacted Licensing.biz to inform our readers of the division. Located within the Ubisoft Studio in Montreal, it creates products for fans by "connecting the dots between community and the dev teams". Consumers can then purchase directly from www.ubiworkshop.com. So what’s next for the sector? Digital offerings are growing and High Street retailers are finding it more difficult to make a profit from boxed game sales. Does that present opportunities to merchandise manufacturers? Sony’s Evans believes there’s plenty more opportunities to be had. “As gaming is naturally aligned with technology, we’re seeing some great product coming through that combines both however I think that there is still a massive unexploited opportunity for traditional licensed products,” he says. “In relation to our own portfolio I’m thinking specifically of apparel with excellent executions targeting high fashion through to the High Street, toys and publishing. This heritage will only grow in years to come, with big brands like Mario, Halo and Sonic further expanding licensing programmes and meeting the needs of expectant consumers. Video games, too, are only getting bigger, with next-generation consoles Xbox One and PlayStation 4 out later this year, presenting additional licensing opportunities to gaming IP owners, licensees and retailers. It’s certainly an exciting time for the video games industry, but with thousands of games available today on phones, tablets, online and more, is the market being overwhelmed with too many consumer products? LVLP’s Dimitri van Eetvelde concludes: “We believe that the market is still far from being saturated and there is a lot of room for improvement. Mass-market retailers and grocery stores are opening up to the genre, and they constitute a huge opportunity. “Moreover, gaming specialists should be much more focused on merchandise, especially in these changing times where digital distribution is slowly eating market share from brick and mortar. There is little sense and added value in displaying empty boxes on shelves if you are a gaming retailer; merch is much more impactful and creates a unique proposal that digital will never have, in addition to being very profitable compared to game sales. “We have seen the market asking for more and more product categories lately such as the booming mobile device cases or over-the-counter accessories such as keychains and dogtags.